Our PR team has got autumn off to a flying start promoting an aircraft display client whose trip to China generated TV audiences of more than 119m in one day – that’s 11 times the number of people who tuned in to Downton Abbey’s series premiere last week! 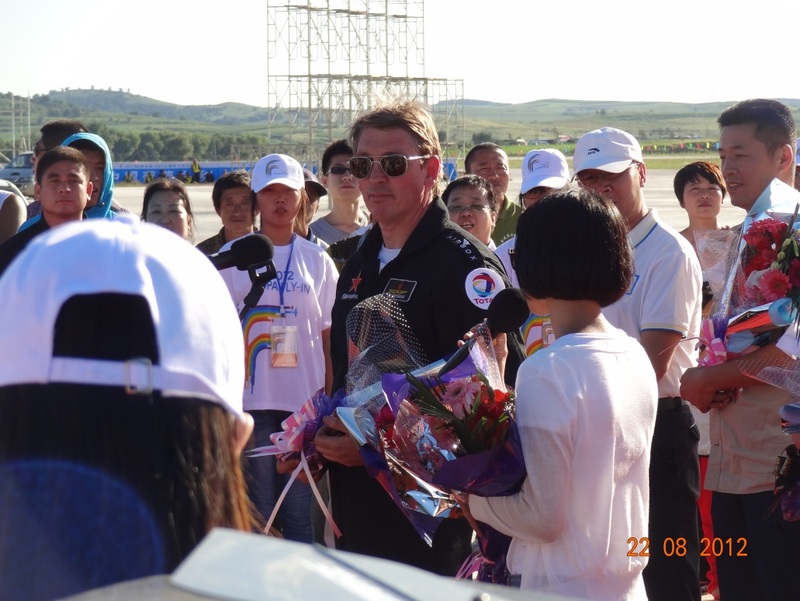 Yakovlevs’ managing director Jez Hopkinson took his team of ex-RAF pilots and their Russian airbirds to Shenyang in China, close to the North Korean border, to perform displays for a captive audience. The response to their airborne antics was overwhelming – they were mobbed by excited fans and given police escorts for their own safety. Their displays were televised over the course of four days and it’s estimated that a mind-boggling quarter of a billion viewers watched them perform – in a single day they clocked up more than 119m viewers which smashed records for the TV channel and left Downton Abbey’s 9m opening night viewers in the shade! SDA’s PR team got to work spreading the word across all UK media, sending out images and video to promote the incredible success of the trip and generate widespread coverage online and offline. To speak to SDA about your PR campaign, email alison@scottdawson.co.uk or call 01282 426846. This entry was posted in Uncategorized on September 29, 2012 by admin. SDA kickstarted a community campaign to encourage Accrington football fans to support their local club. We had a busy week working with Accrington Stanley, organising two school visits for players and sending promotional girls into the town centre ahead of Saturday’s match. 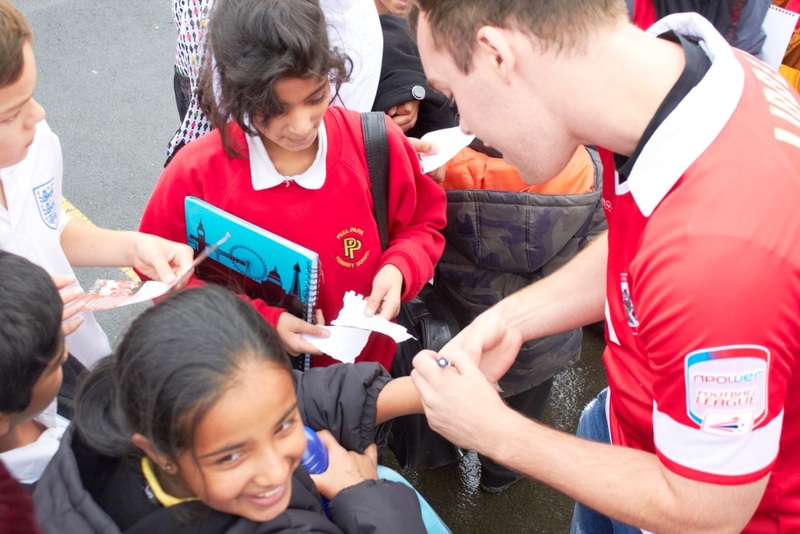 Our community campaign began with visits to St Mary’s RC Primary School in Clayton and Peel Park Primary School in Accrington, where players Michael Liddle, James Gray, Dean Winnard, George Miller and Luke Clark were given the star treatment by football-mad youngsters. 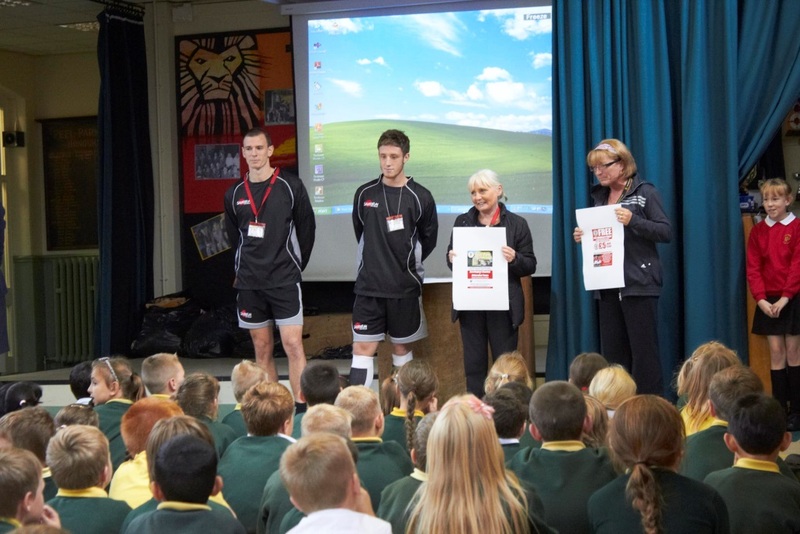 As well as having a kick around in the playground, signing autographs and posing for pictures with children, players did a question and answer session in junior and infant assemblies at Peel Park, giving pupils an insight into their training regimes, match preparation and predictions for their forthcoming home match. SDA designed and produced a personalised flyer for both schools offering free entry to every pupil and £5 entry for accompanying adults for Saturday’s game against Aldershot Town – and the club’s newest fans were treated to a winning performance as Stanley triumphed with a 1-0 victory. Sharon Ogden, sports coordinator at Peel Park, said: “Grass roots sport should begin with your local team and if the children are lucky enough to get to know the players in person they’re bound to develop a real affinity with the club in later years. Our Stanley promo girls Faye and Katie spread the word in the town centre, handing out flyers, filming interviews with fans and generally drumming up support for the afternoon’s match.